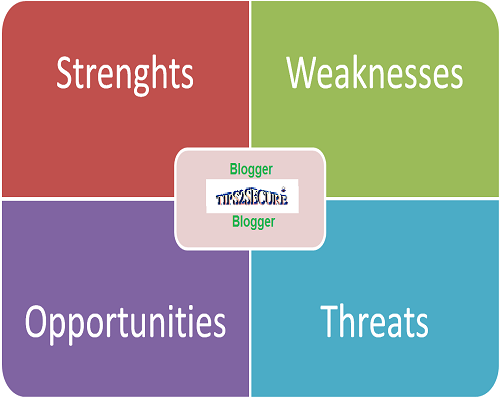 This may be the very first post on Internet which is focusing on SWOT analysis of a Blogger. Before writing further of swot analysis of blogger, I would like to give a little definition of SWOT analysis. S refers to Strength, W refers to Weakness, O refers to Opportunity and T refers to Threats. A SWOT analysis is a study and structured planning method used to evaluate the strengths, weaknesses, opportunities and threats involved in a project. SWOT analysis can be carried out for a product, place, industry or person. 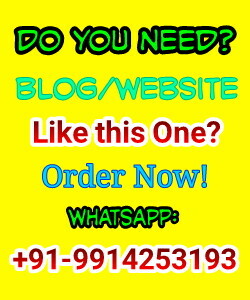 How Idea of SWOT Analysis for a Blogger comes in my mind? I'm working as online trainer since 2010. Till now I have provided different type of training to my online clients regarding generating online income through blogging, Adsense, freelance work and many more. I started my personal blog approx 1 year ago with a vision to provide my knowledge and education to others by blogging. I have seen many incidents like sometime a threat of a blogger becomes an opportunity for some other blogger. It all depends upon blogger's attitude, belief and patience. After seeing all this an Idea of doing SWOT for a Blogger comes in my mind and start writing this post. This post reveals the strengths, weakness, opportunities and threats for a blogger in their blogging career. Ability to reply to reader's questions. I have mentioned strengths, weaknesses, opportunities and threats for a blogger. I would like to invite users and readers of this blog to add more points in above-given points of SWOT. As I already told that It may be the first post on internet so If we all give our ideas to grow this post by adding more points and ideas in parts of SWOT analysis then It will be the best. After receiving comments, I will edit this post by adding points of readers in this post. Thanks! Message : I hope that you have enjoyed 'Strength Weakness Opportunity and Threats For a Blogger: SWOT Analysis' article. However, if you want me to deliver more articles then please share my post. You can use Social Sharing Widget provided at the end of every post. After all, Sharing is Caring! There are some great examples of swot analysis like apple, google and amazon in creately diagram community. There are 1000s of swot diagram templates to be used freely.